Together with Indiana University Hillel, AEPi Beta Iota chapter (Indiana University) helped package more than 6,000 meals in only 90 minutes on Monday night, Sept. 11. The boxed meals will be sent to victims of Hurricane Harvey as part of the Million Meal Movement, a meal packing nonprofit that empowers volunteers to make a difference through hands-on, high-energy meal-packing events. 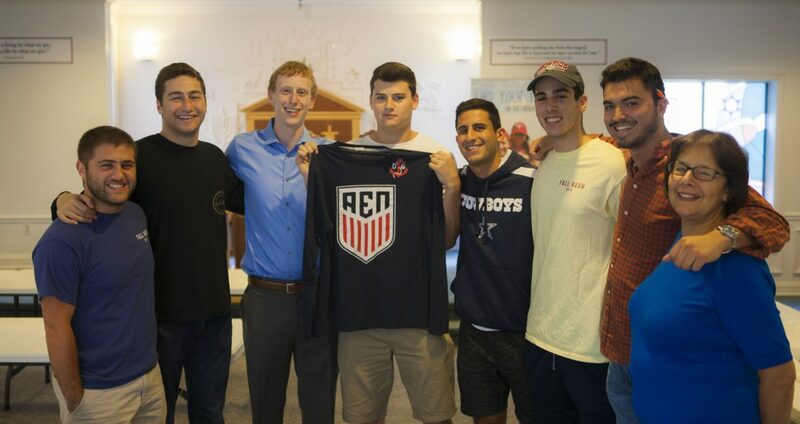 AEPi chapters give back every year — raising thousands of dollars for our Official Philanthropy Program (OPP). To aid in relief efforts, the AEPi Foundation also created the Benevolent Brothers Fund to assist our undergraduate and alumni brothers in their greatest time of need.